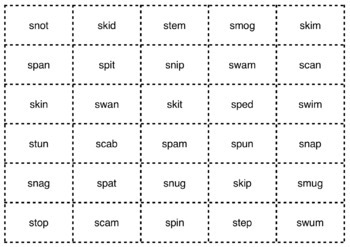 This word sort bundle is so great for introducing consonant clusters to your students! 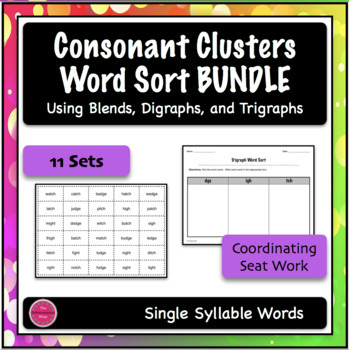 This bundle is so great for your differentiated classroom! 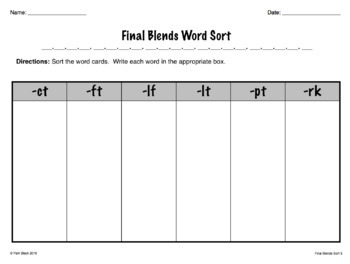 This bundle includes word sorts for several different blends, digraphs, and trigraphs. It includes single and multi-syllable words. There's something for everyone! Check out this blog post for ideas on how to use this product in your classroom! 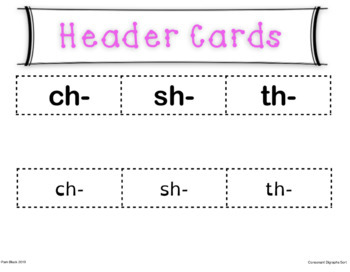 If you like these, check out the other word sorts for grades 4-6! Want to purchase more resources from my shop, but they don’t come in a bundle that you like? Check out the Build Your Own Bundle option! No need to wait for a sale! Create your own package and get a discount! Check me out on Facebook and Instagram to be notified when my products switch from paid to FREE! And see what's keeping my interest on Pinterest for a differentiated classroom! • Rate my products to earn credits to spend on TpT! Under My TpT click on My Purchases. There you will find a green thumbs up under the product title. Simply click and rate! Each time you give feedback, TpT gives you credits to spend on the site! Also, stay up to date on my new products and freebies! Under my name in my shop, click the green star to follow me! Get notified when new products are added or sales are happening!